Perhaps in one of the coolest text message group chats around, former Detroit Pistons stars Chauncey Billups, Ben Wallace, Rip Hamilton, Rasheed Wallace and Tayshaun Prince talk regularly. And one of the biggest topics of discussions as of late is about when Prince — the only one still playing — will sign with an NBA team. Prince has earned a very respectful resume during his 14 NBA seasons, most notably with some storied Pistons teams that won a 2004 NBA championship, played in two NBA Finals and also played in six straight Eastern Conference finals. Detroit selected the former University of Kentucky star with the 23rd overall pick in the 2002 NBA draft. The Pistons were so enamored with the slender 6-foot-9, 215-pounder that the small forward they passed on drafting in 2003 was Carmelo Anthony. Prince averaged 12.6 points, 4.7 rebounds and 2.6 assists in 12 seasons with Detroit, including 23 games during the 2014-15 season. He also won a 2008 Beijing Olympics gold medal with USA Basketball while a member of the Pistons. Prince said the highlight of his days with Detroit was the success and fun he had playing with Billups, Hamilton and both Wallaces. Detroit Pistons Rasheed Wallace, left, Chauncey Billups (1) and Tayshaun Prince, right, enjoy a laugh at practice at the Palace in Auburn Hills, Mich. Friday, June 11, 2004. After so much stability, Prince became an NBA journeyman since the day the Pistons traded him “out of nowhere” to the Memphis Grizzlies on Jan. 30, 2013. He’s played for the Boston Celtics, Detroit again and the Minnesota Timberwolves. The change and instability were tough on Prince after so much stability during his first lengthy stint with the Pistons. Prince signed to play for his former Pistons coach, Flip Saunders, with the Timberwolves on a one-year veteran’s minimum deal on Aug. 20, 2015. Saunders, then the Wolves’ head coach and team president, told Prince that if he wasn’t happy with his veteran mentor and defensive role on the young team, he would allow him to get a buyout before the trade deadline. Saunders, however, died of Hodgkin lymphoma on Oct. 25, 2015. Prince averaged career lows of 5.4 points and 3.6 rebounds while being used primarily in a defensive and mentoring role with the Timberwolves last season. 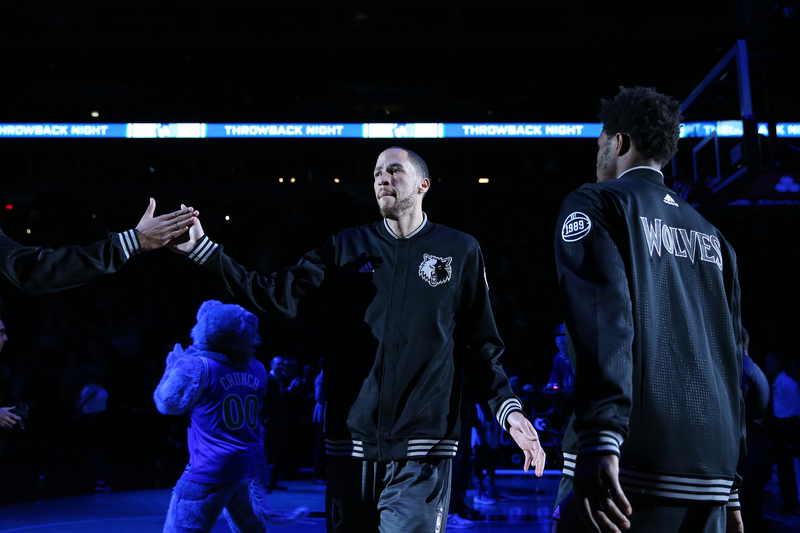 The young Timberwolves squad had a 29-53 record despite having the NBA Rookie of the Year for two straight seasons in Andrew Wiggins and Karl-Anthony Towns, respectively. The death of Saunders really hurt him, as well. Tayshaun Prince #12 of the Minnesota Timberwolves gets introduced before the game against the Oklahoma City Thunder on January 12, 2016 at Target Center in Minneapolis, Minnesota. Prince told his longtime agent Bill Duffy that he would like to sign as a free agent this past offseason with a team that was at least competing for a playoff spot. While Prince said there has been interest, there have been no contract offers from any NBA teams. He’s not interested in playing overseas and is patiently waiting for an NBA offer to come soon. Prince is now on the outside looking in during training camp and the preseason for the first time since entering the NBA in 2002. He said it’s odd not being in training camp enjoying “camaraderie and building the chemistry.” The good news is he has more time at the moment to spend with his wife and son. Prince has been working out in West Palm Beach, Florida, Lexington, Kentucky, and Las Vegas, and said he’s in good shape and has been playing lots of pickup ball with guys preparing to play overseas. The Los Angeles native has never had any serious injury woes in his NBA career. Well-known basketball trainer Joe Abunassar said his client is physically ready to help a team now. Outside of the group chat, Billups and Hamilton have been sending Prince text messages regularly, offering words of encouragement and asking for free agency updates. 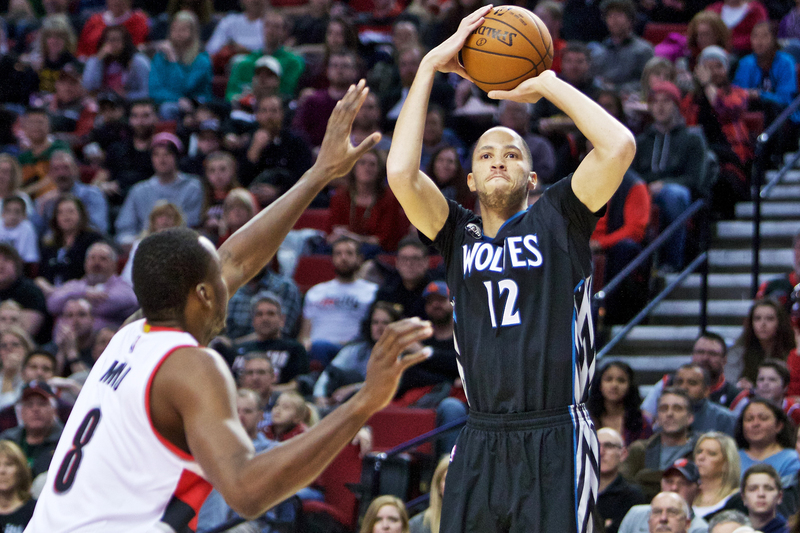 Minnesota Timberwolves forward Tayshaun Prince, right, shoots over Portland Trail Blazers forward Al-Farouq Aminu, left, during the first half of an NBA basketball game in Portland, Ore., Sunday, Jan. 31, 2016. Prince has “never thought about retiring” like his old Pistons teammates have. He’s hopeful that the NBA won’t force his hand to unlace his sneakers. But if so, he’s proud of what he’s accomplished. “My whole vision was to get to the NBA and have a long career,” Prince said. “But I would have never imagined coming into the league and shortly after winning a championship, being with great guys and one organization for so many years before I got moved. I ended up being a part of a special Olympic team that brought a gold medal back to the States.